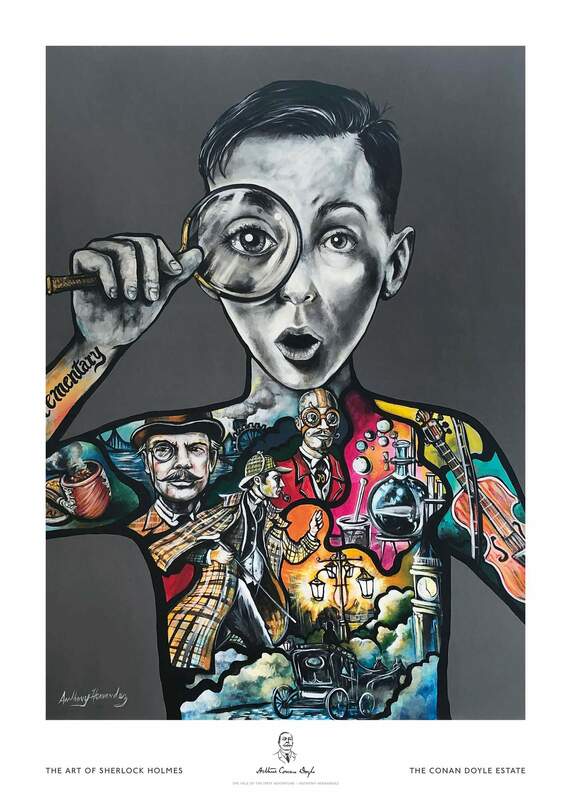 The Art of Sherlock Holmes is truly unique. 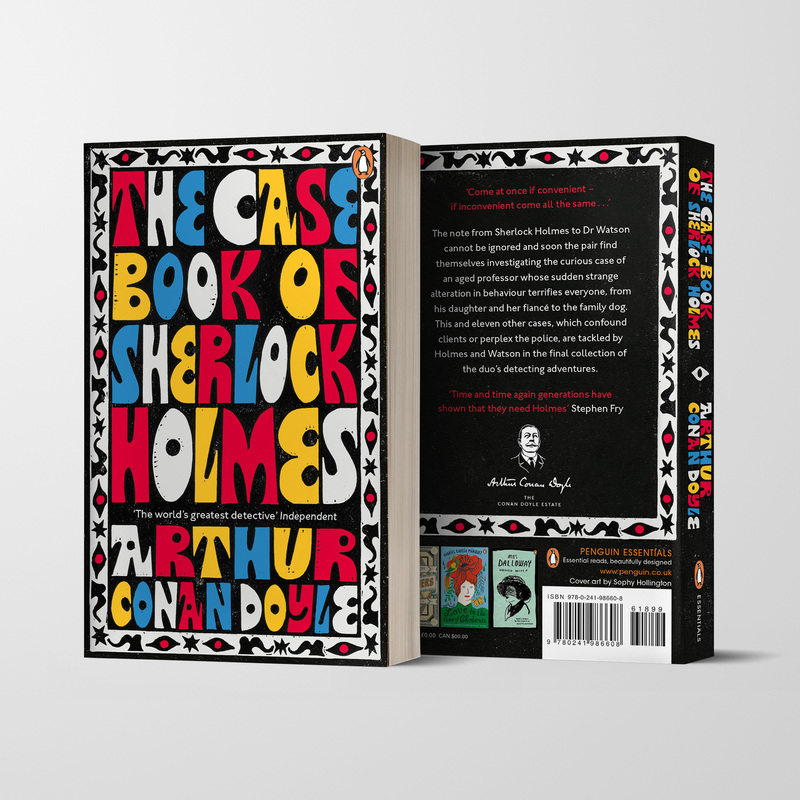 Holmes short stories interpreted by some of the most accomplished artists in the world. 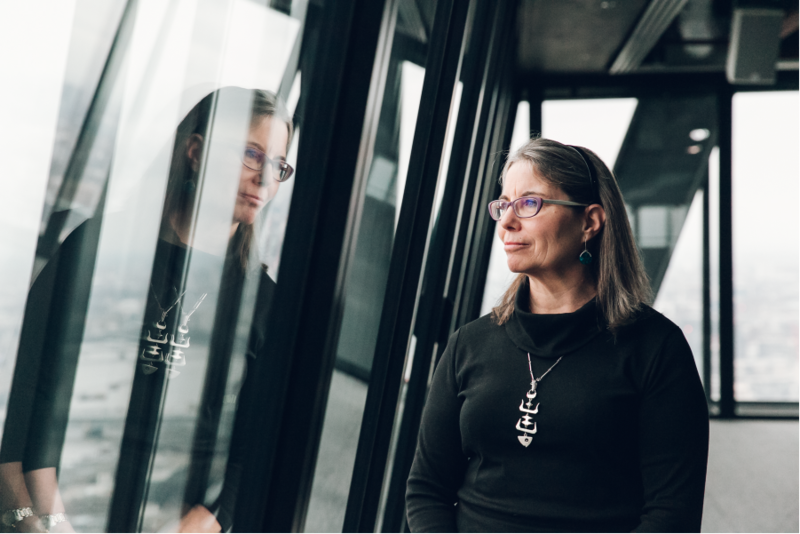 In the first edition alone, between them, the artists have art hanging in over 100 museums and galleries in the world including the Smithsonian, The Metropolitan Museum of Art, The Whitney, The Guggenheim and many more. It's great to see the Conan Doyle Estate trademark and brand on the new Penguin Essentials edition of The Casebook of Sherlock Holmes by Arthur Conan Doyle. 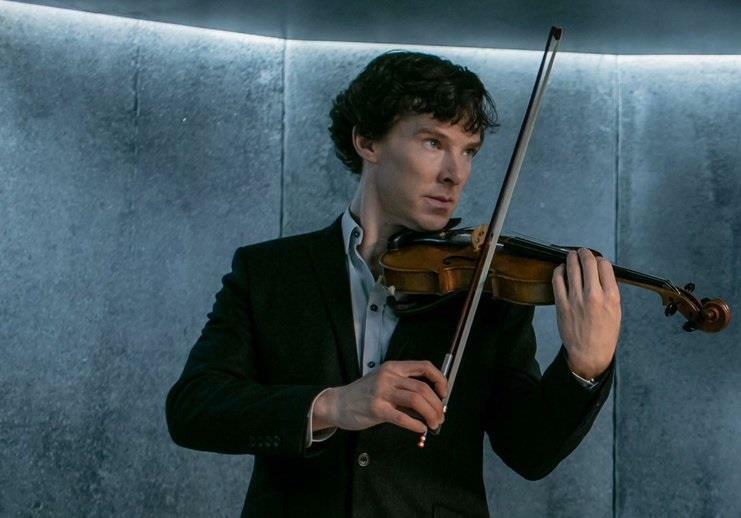 'Melancholy wailings', 'exasperating solos', but 'a remarkable gift for improvisation' – we love Maggie Williams's article via The Strad on our favourite fictional violinist. 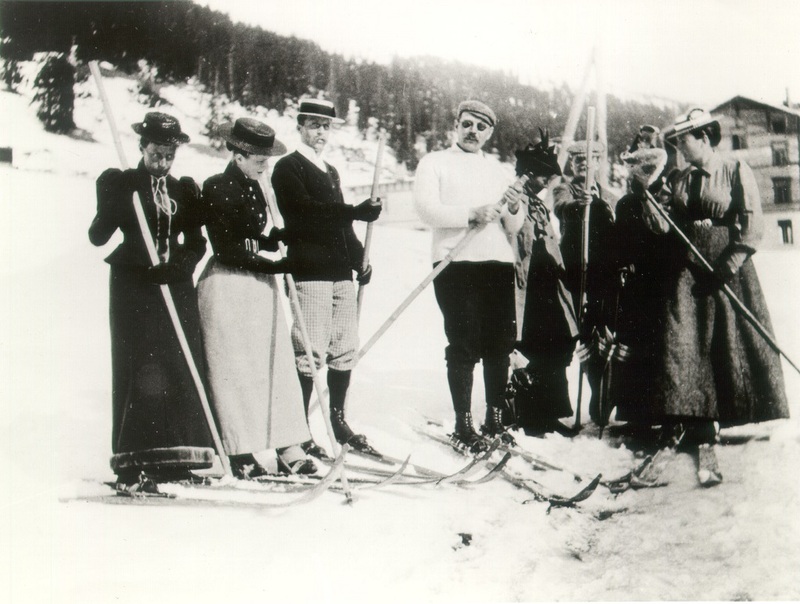 Ski season is in full swing! 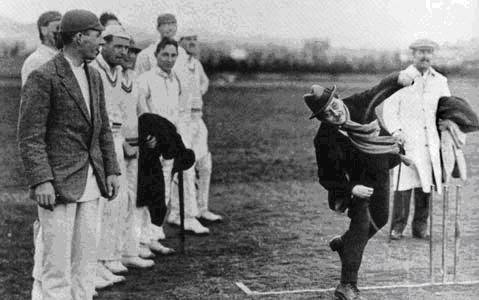 We love this photo of Arthur... 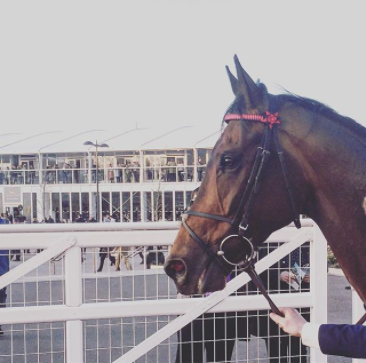 He looks every inch the debonair all adventure hero! Say hello to the Estate's new cards! 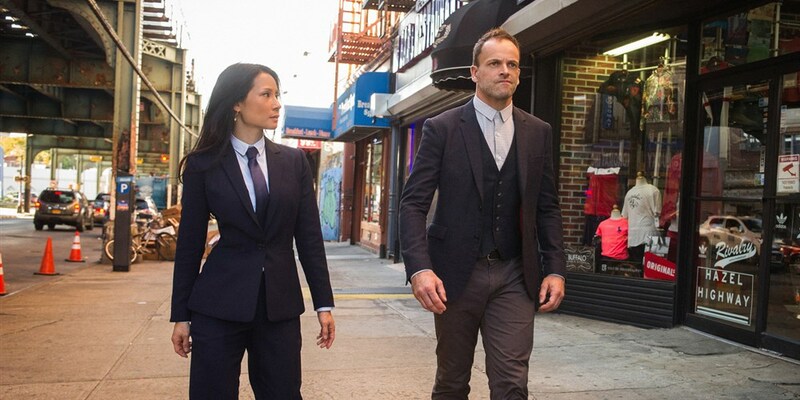 They are currently popping up all over the World on various global travels on official Conan Doyle business. We are pleased that Lisa Xing of CBC News has shone the spotlight on the Toronto Reference Library. 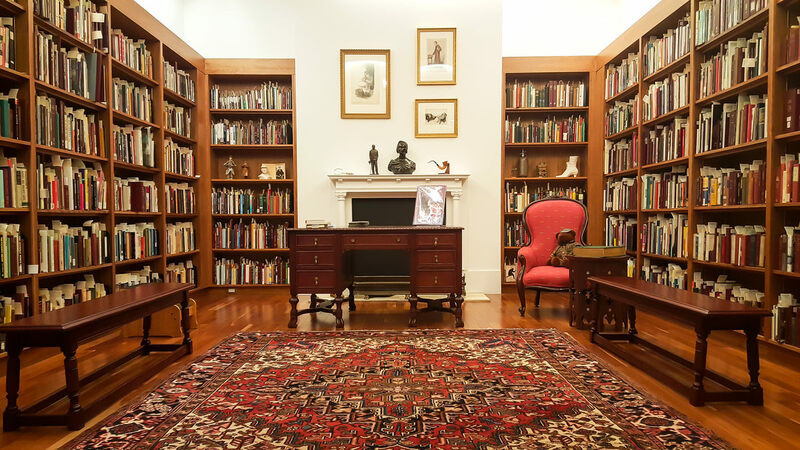 It is a very important collection with tens of thousands of books and memorabilia available to the public. 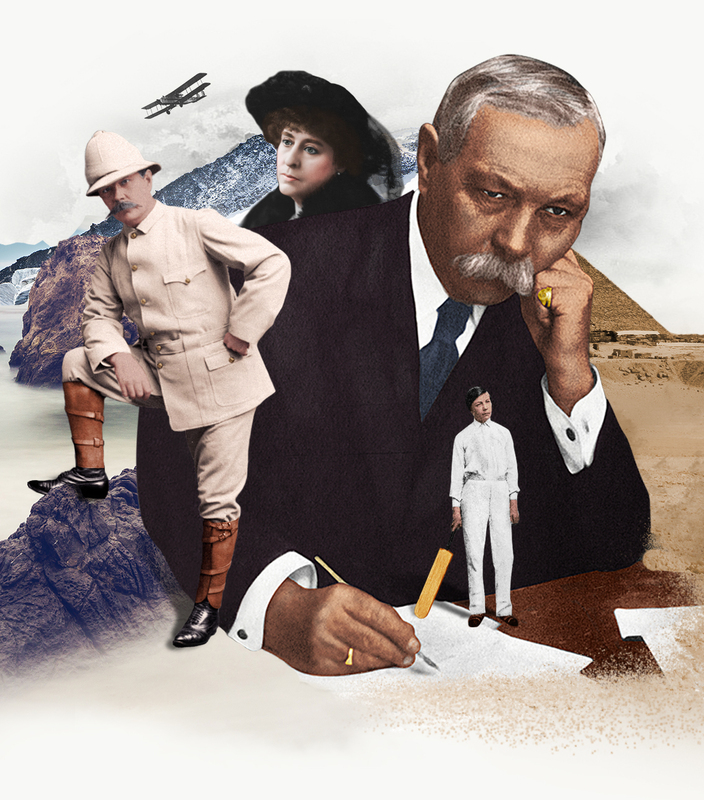 The collection is backed up by a busy ‘Friends of the Conan Doyle Collection’ organisation run by Clifford Goldfarb who also penned - The Great Shadow: Arthur Conan Doyle, Brigadier Gerard and Napoleon. We heartily recommend to set some time aside and enjoy a listen to Episode 158 on 'I Hear of Sherlock Everywhere' for a fascinating insight into the creation of The International Exhibition of Sherlock Holmes. 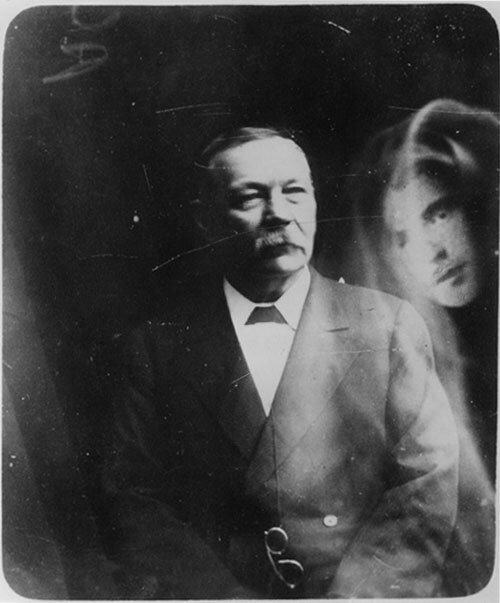 The Conan Doyle Estate is made up of a global network of experts who provide specialist knowledge on Arthur Conan Doyle and his characters. 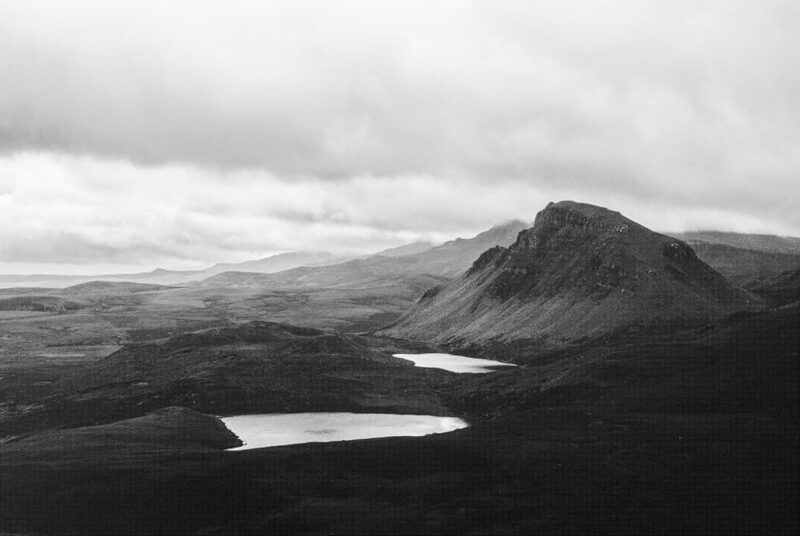 Over the last several months we've been working closely with one of the Estate's leading experts - Jon Lellenberg, acclaimed Conan Doyle Specialist and Author on a specialist project about the original and official characters from the mind of Arthur Conan Doyle. 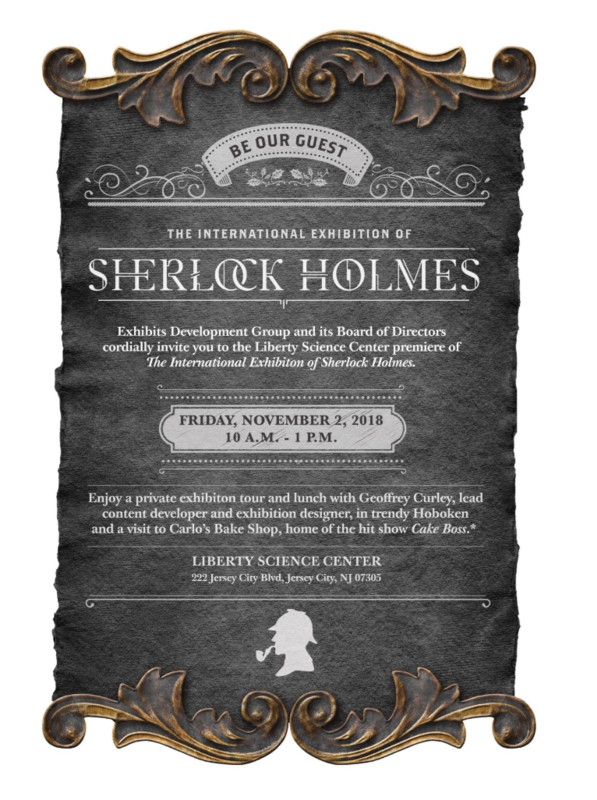 The International Exhibition of Sherlock Holmes has arrived in Jersey on the fourth floor of the Liberty Science Centre. 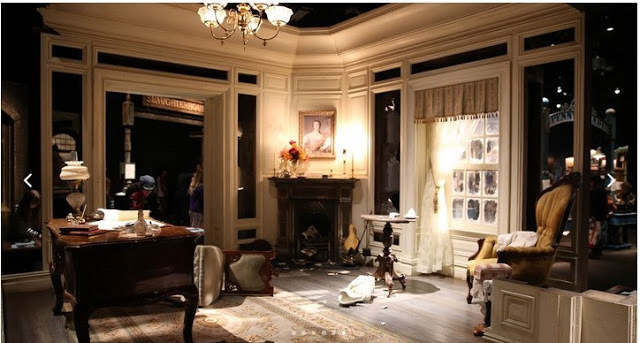 The exhibition will run from November. 3, 2018 through May 27, 2019. 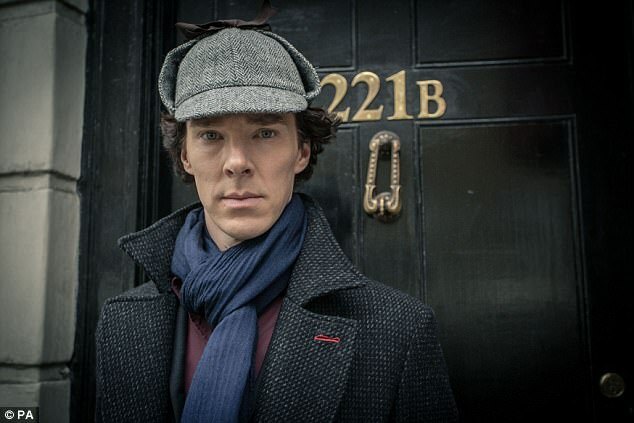 The International Exhibition of Sherlock Holmes is just one example of the global reach and world class expertise that The Conan Doyle Estate can provide. 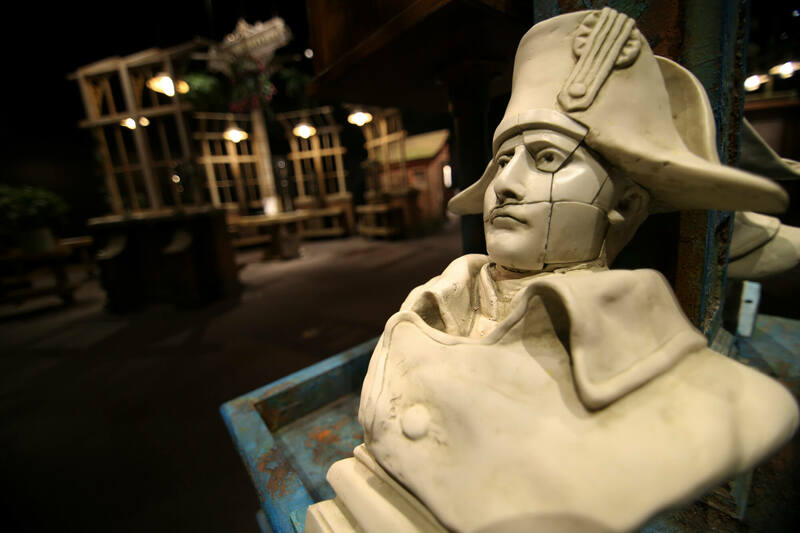 Our international network of specialists have been closely involved in consultancy and detailing for the making of the exhibition and it was with pride that it was opened in 2013 at the Oregon Museum of Science & Industry by Richard Doyle, senior director of The Conan Doyle Estate and Sir Arthur’s grandnephew. 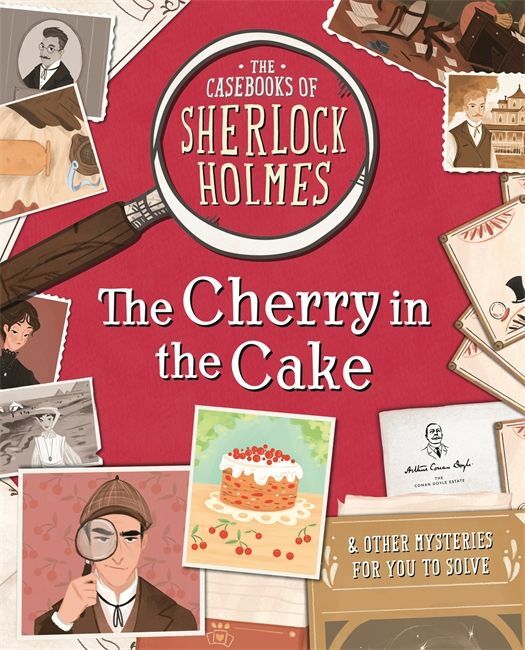 We're really looking forward to the release of The Casebooks of Sherlock Holmes, our new licence with Studio Press. 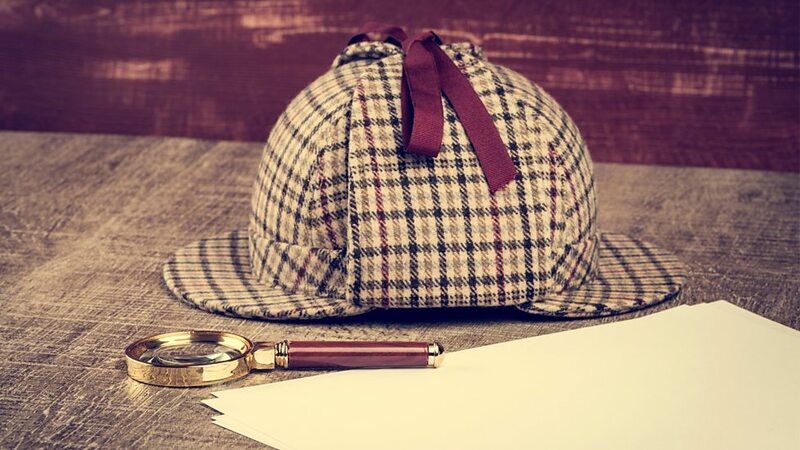 Working alongside the world’s greatest detective, keen investigators will be encouraged to review the evidence from Sherlock’s case notes, diary entries, photographs, maps, puzzles and more, to solve the mysteries. 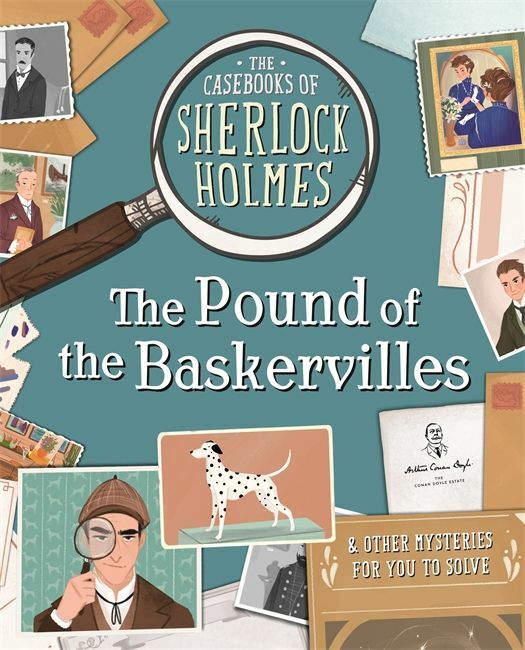 Written by Sally Morgan and illustrated by Federica Frenna, one mystery in each title has been inspired by an existing Sherlock Holmes story. 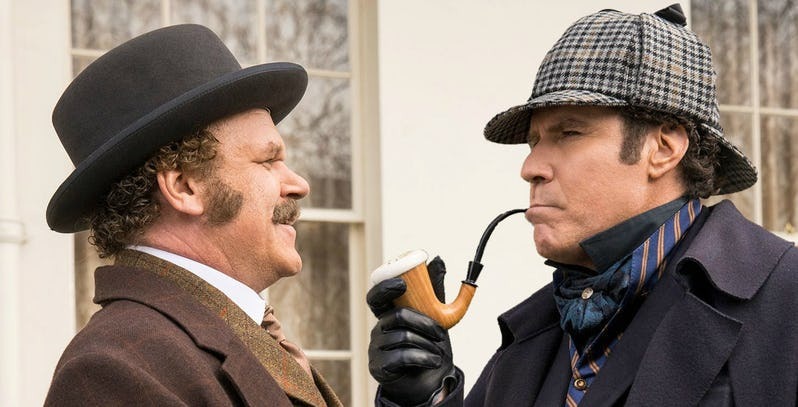 One of the Conan Doyle Estate’s latest licences is the new Holmes and Watson film starring Will Ferrell and John C. Reilly. We catch up with Screen Rant to get the latest word on the street and catch a glimpse of the new trailer! We were delighted when Sir Arthur's 'The Lost World' was listed first in The New York Times as being a 'must-watch' this Summer... The Lost World is listed amongst other cult classics such as 'King Kong', The Time Machine, Jaws, The Fly and The Most Dangerous Game. Our mission is to raise the profile of Sir Arthur Conan Doyle - and it always is a great pleasure when we see others joining in to fly the flag for our favourite Man! 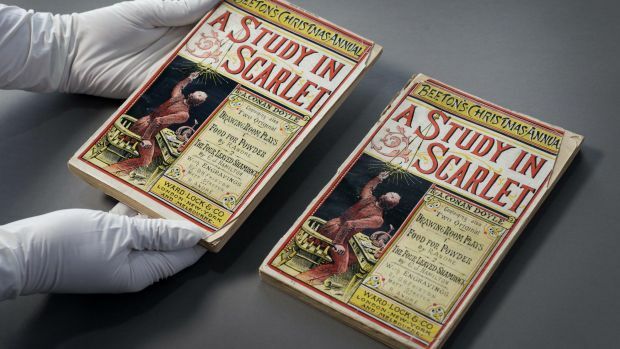 The International Exhibition of Sherlock Holmes is just one example of the global reach and world class expertise that The Conan Doyle Estate can provide. 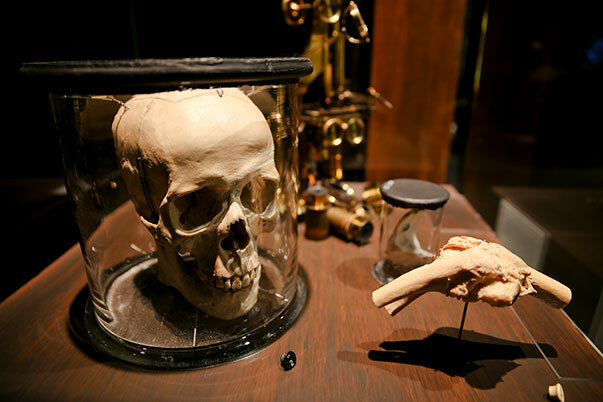 Our international network of specialists have been closely involved in consultancy and detailing for the making of the exhibition and it was with pride that it was opened in 2013 at the Oregon Museum of Science & Industry by Richard Doyle,senior director of The Conan Doyle Estate and Sir Arthur’s grandnephew. The Conan Doyle Estate has had the pleasure of assisting Peter Davidson a Film and Media Arts Student from the University of Utah. This has been almost a two year conversation and we are delighted to have been able to help Peter realise his ambition. 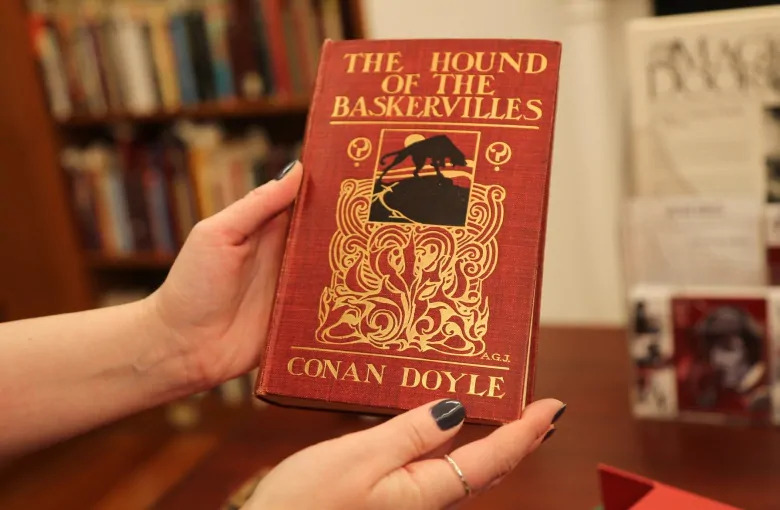 We're always on the look out for excellent tip offs when it comes to intel on The Man... One of the foremost Sherlock Holmes collections is hidden away at a Toronto library and is a 'must visit' for all Conan Doyle fans. 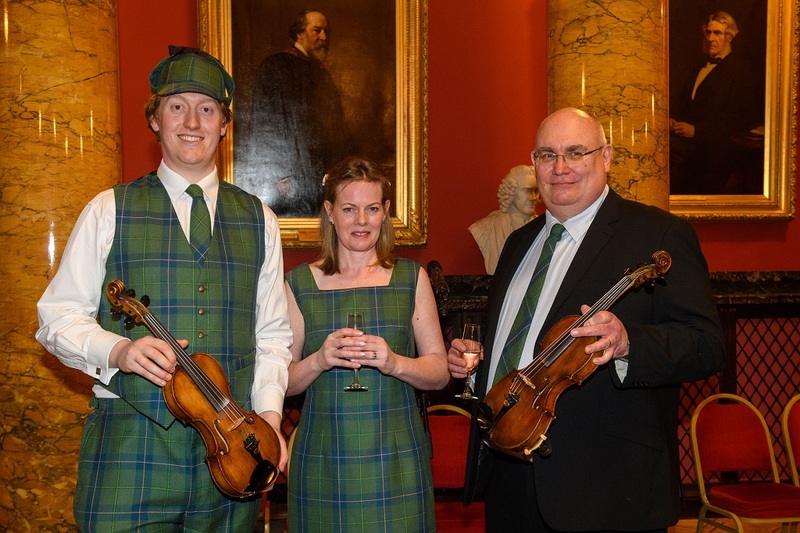 Members of The Conan Doyle Estate travelled to Edinburgh to toast the launch of the new Sherlock Holmes Tartan - the latest licence to be granted by The Conan Doyle Estate. 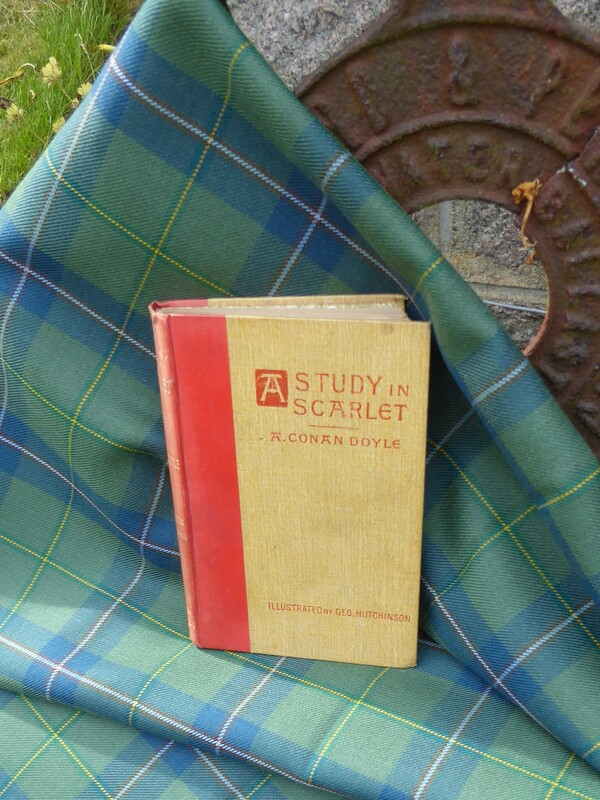 On the eve of the launch of Sherlock Holmes tartan, Richard Pooley, Director of The Conan Doyle Estate and Step Great Grandson of Arthur Conan Doyle shares his thoughts and family insights into this exciting new licence for the Estate. 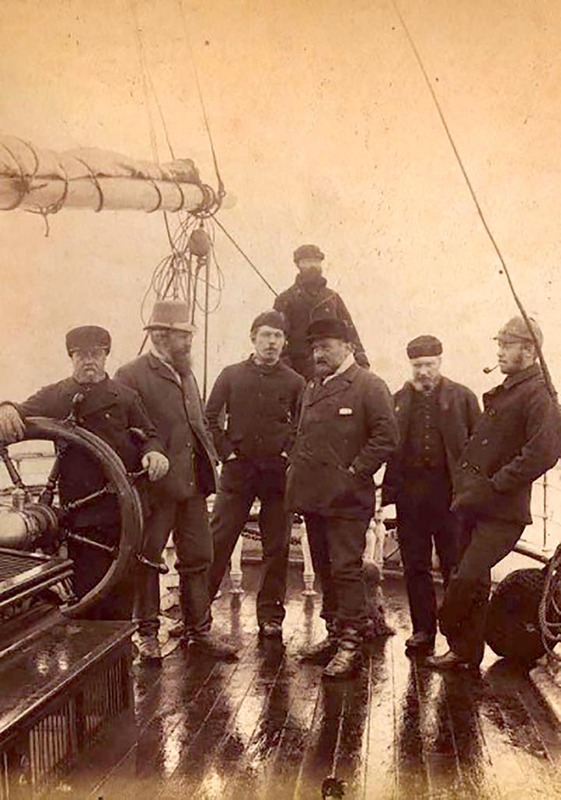 We've recently been contacted by Bill Becker from The American Museum of Photography who wanted to tap into The Conan Doyle Estate's network of experts. The reason? 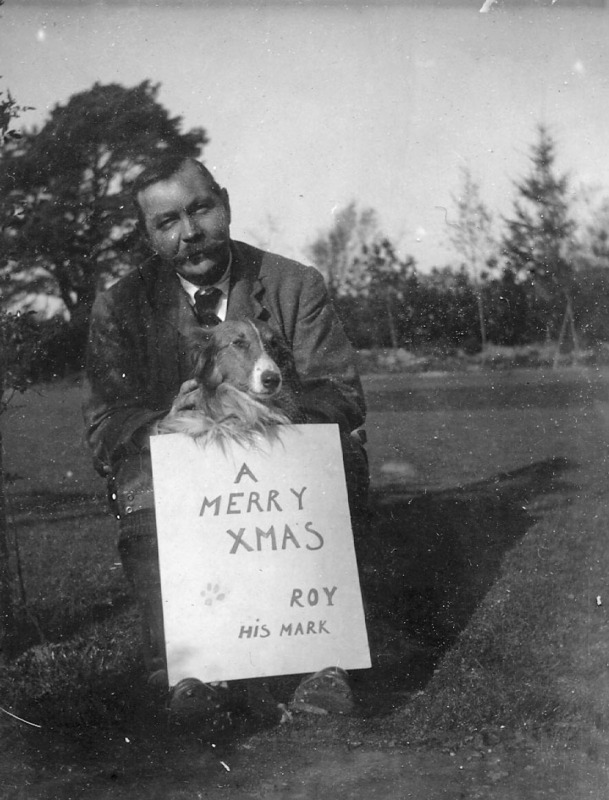 A mysterious photograph with a question mark above a certain man's identity. 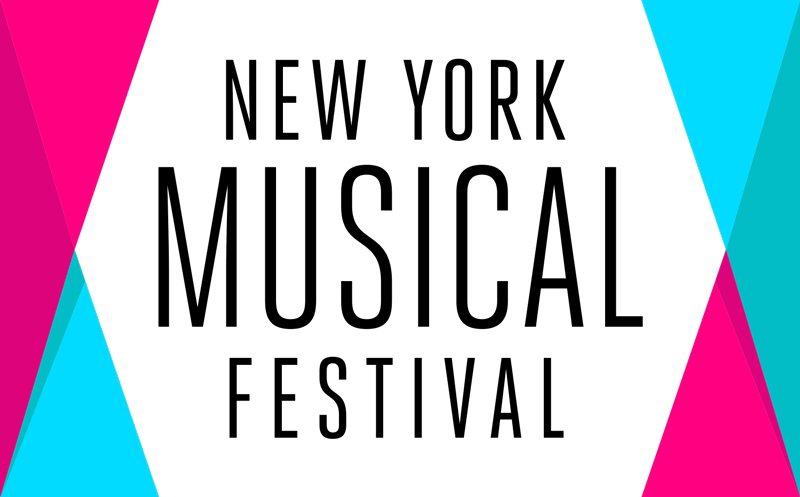 We're delighted to launch phase two of our new website! Have a look around! Where would we go first? Read more for our top recommendations! 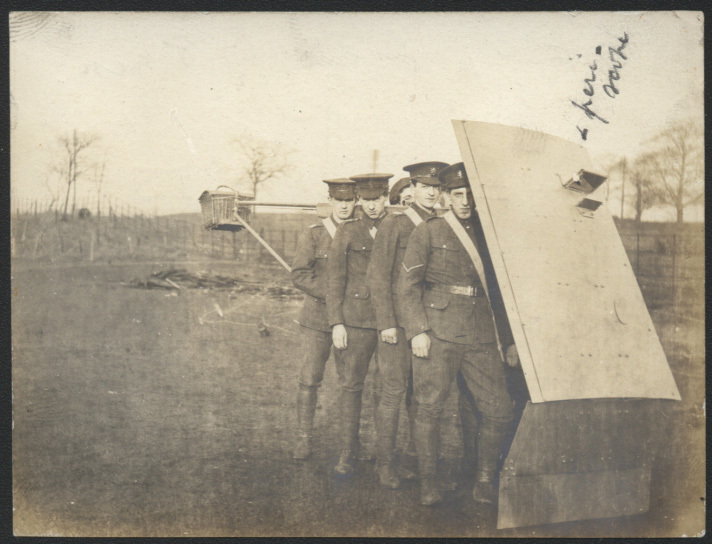 We received a fascinating and most welcome correspondence from Bernard Hornung. 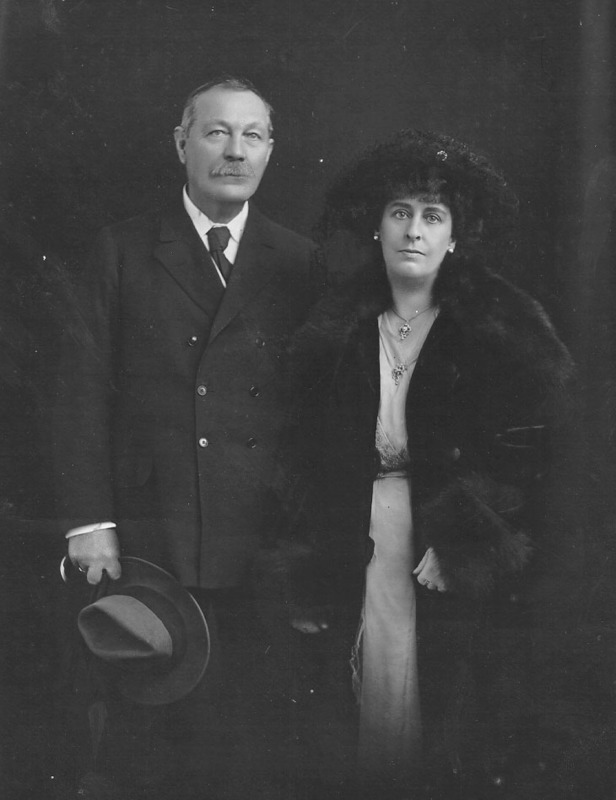 "Willie Hornung married Constance Doyle, and became Sir Arthur Conan Doyle's brother in law. 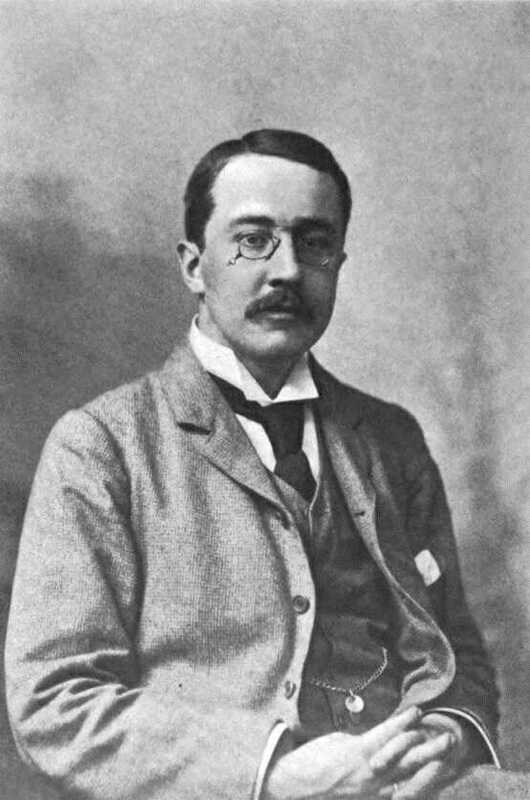 E W Hornung inverted the Sherlock Holmes plot and created Raffles and his sidekick Bunny Manders. 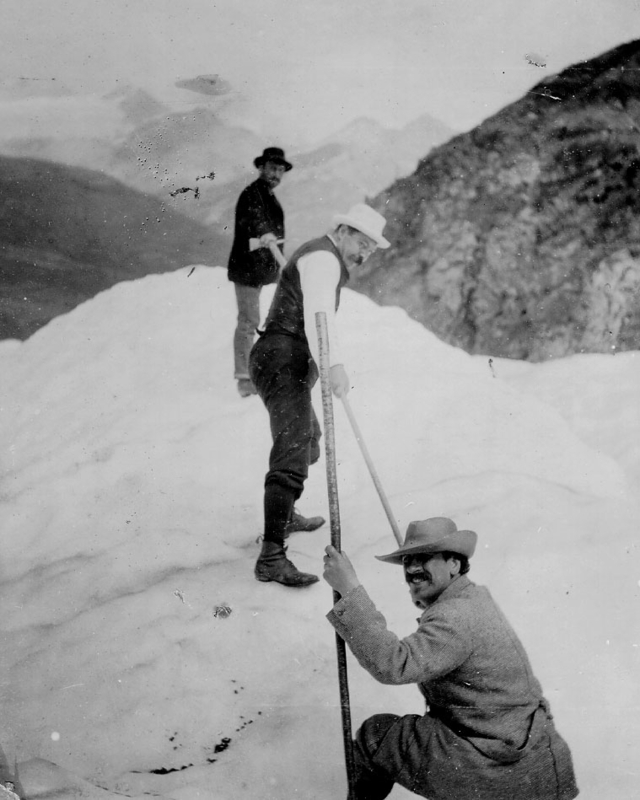 Willie's elder brother Pitt Hornung, was a sugar magnate, and my great grandfather." We are really excited about this! Fashion designer Tania Henzell has created a new tartan under the name 'Sherlock Holmes Tartan'. Tania is the step, great, great grand daughter of Sir Arthur Conan Doyle. We have recently been contacted by House of Illustration, a public gallery solely dedicated to illustration and graphic arts. Their news? 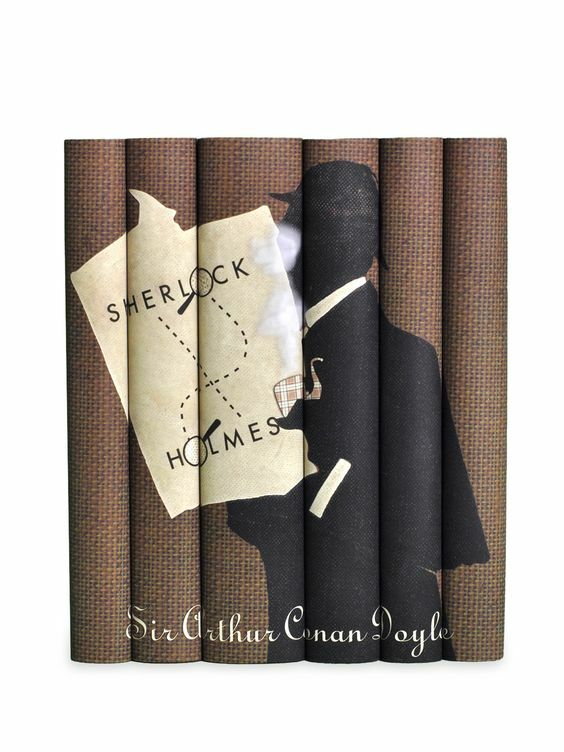 The artist Christopher Brown has just created a one-off book jacket for The Sign of Four by Arthur Conan Doyle. 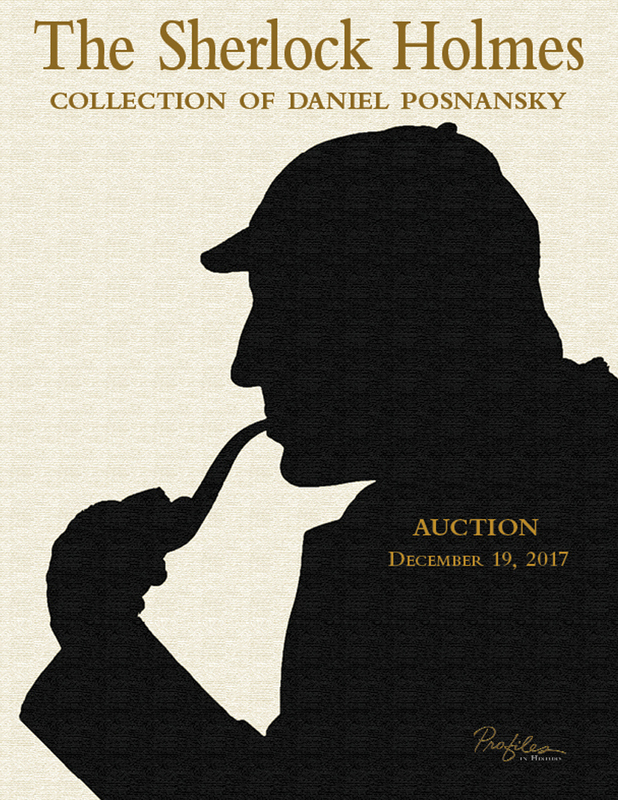 One of the most impressive private Conan Doyle/Sherlock Holmes collection since the late Fred Kittle donated his to Chicago's Newberry Library is to be auctioned on the 19th December 2017. Our adventures with Arthur Conan Doyle take us all around the World and we recently found ourselves in Paris on a fine and sunny Autumnal day to scope out a new project. 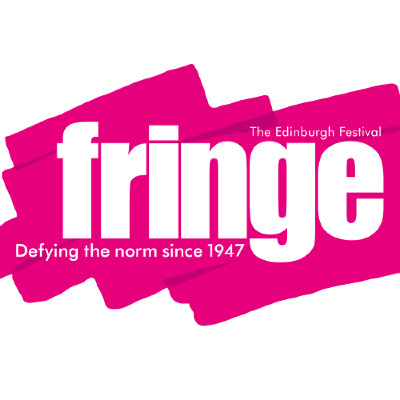 The Conan Doyle Estate are proud to be working with talented creatives who craft a new legacy from Arthur Conan Doyle's works. Michelle Birkby is no exception, with her bestsellers The House at Baker Street and The Women of Baker Street. 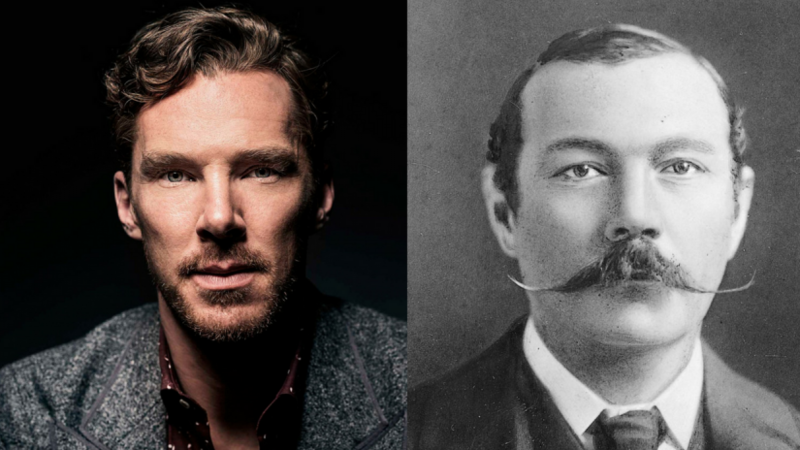 Always great to see Arthur Conan Doyle in the news, this time as a trendsetter and influencer! We of course love the reference to The Hope, which was of course documented by Conan Doyle in his Hope Diaries. 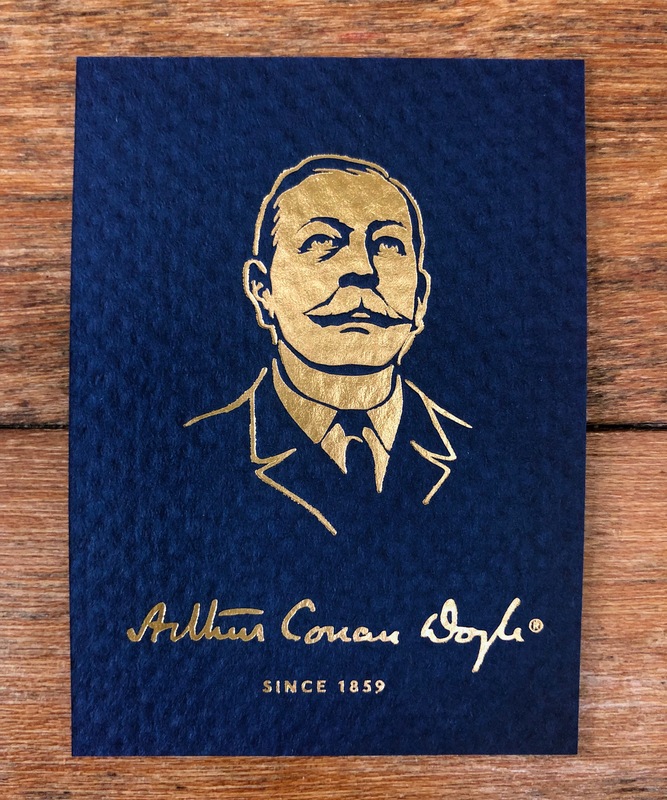 We are delighted to give fans of Arthur Conan Doyle and The Conan Doyle Estate the chance to win one of two signed and numbered editions from a set of 100 screen prints. 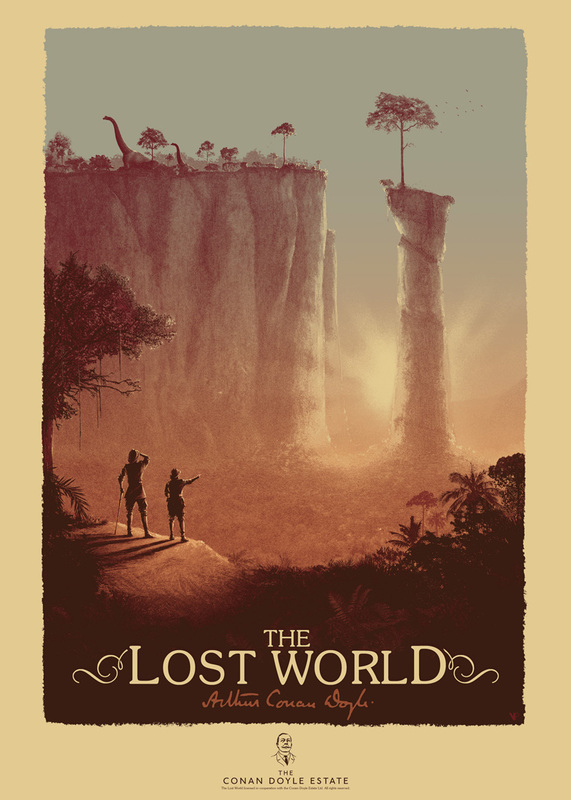 The Estate have worked with Vice Press and the incredible Matt Ferguson to release a very limited edition screen print for Sir Arthur Conan Doyle’s classic novel The Lost World. We recently received a whole parcel of 'My Dear Watson' memorabilia from playwright and composer Jami-Leigh Bartschi with a wonderfully heartfelt note of gratitude. 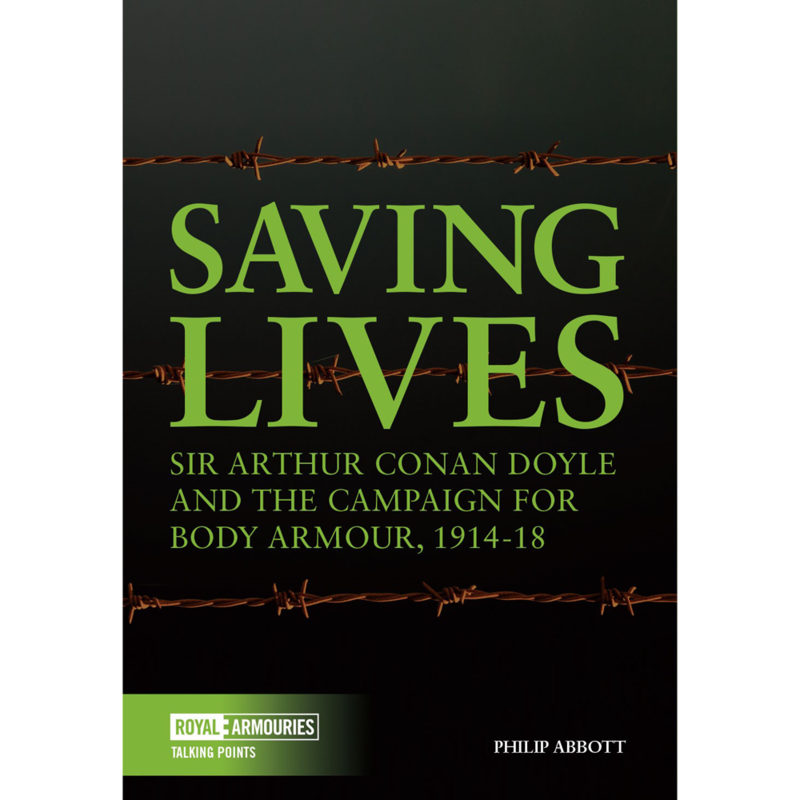 The Conan Doyle Estate has been following the journey of Philip Abbott as he raises awareness of Arthur Conan Doyle in his campaign for Body Armour. 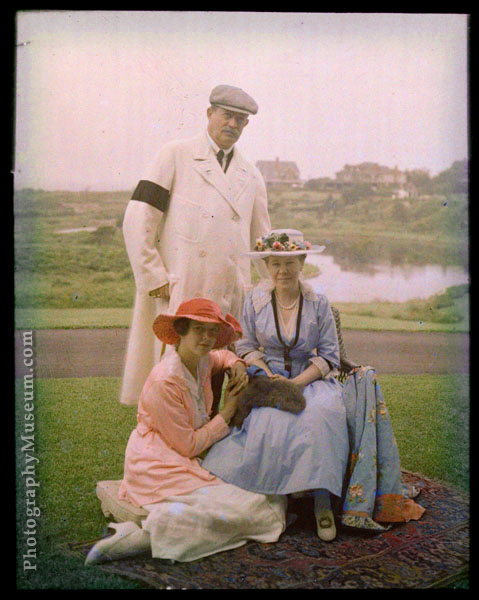 Philip was in touch with us in March this year to gain access to some images to add to his exhibition for which he very kindly credits the Conan Doyle Estate. Philip has not only got the exhibition up and running and on tour with the help of a grant, he has also written a book 'Saving Lives'. My Dear Watson, It's a Wrap! 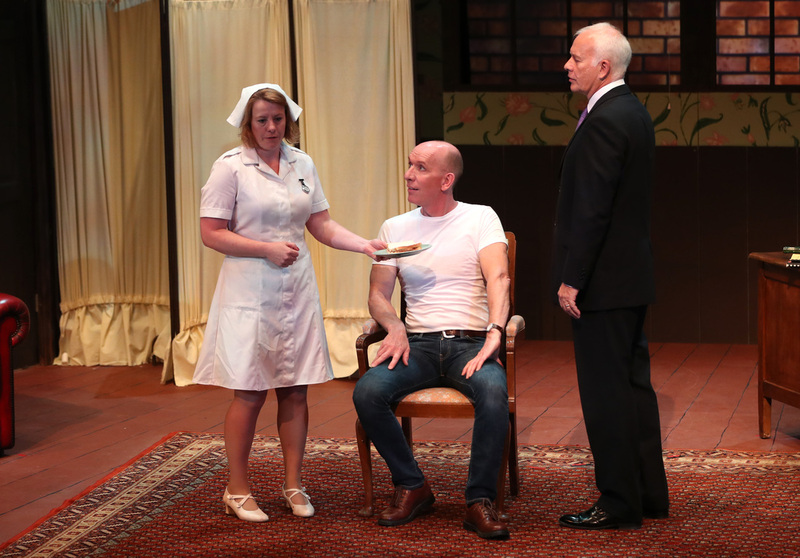 As the curtain goes down and the reviews come in, The Conan Doyle Estate is proud to reveal the success of MY DEAR WATSON a Sherlock Holmes musical, which took a starring role in the 2017 New York Musical Festival. 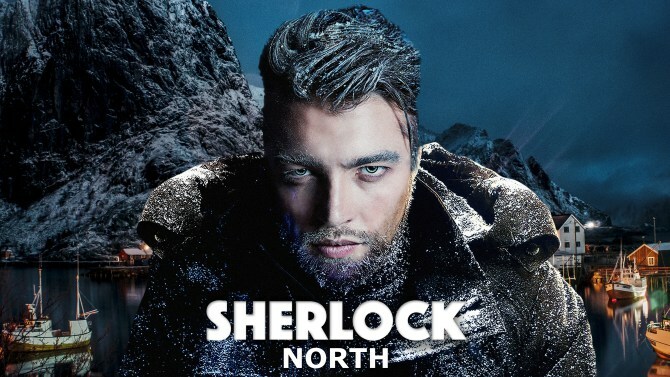 The production was funded in part by The Conan Doyle Estate. 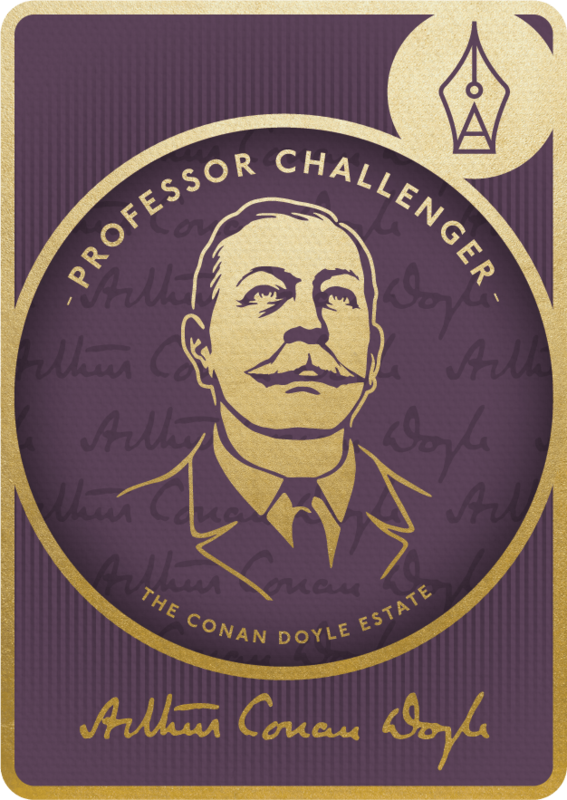 Conan Doyle Estate director, Richard Doyle, says of the collaboration, "The Conan Doyle Estate's main aim is to have the voice of Sir Arthur Conan Doyle heard by modern audiences. I am sure my great uncle would have been delighted that his family, through the Conan Doyle Estate, is supporting My Dear Watson. 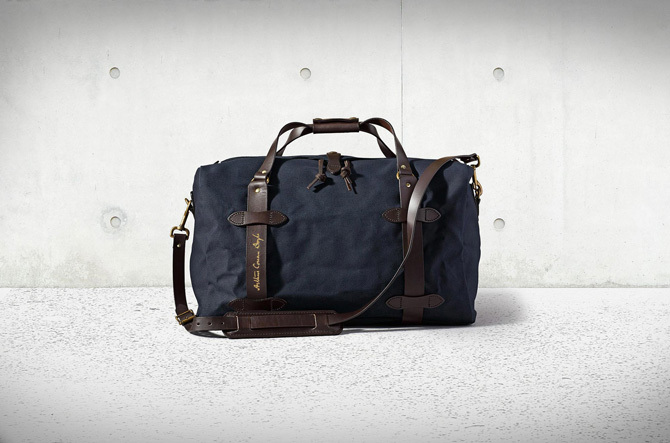 His passion for innovation and the arts is beautifully represented by Jami-Leigh Bartschi." 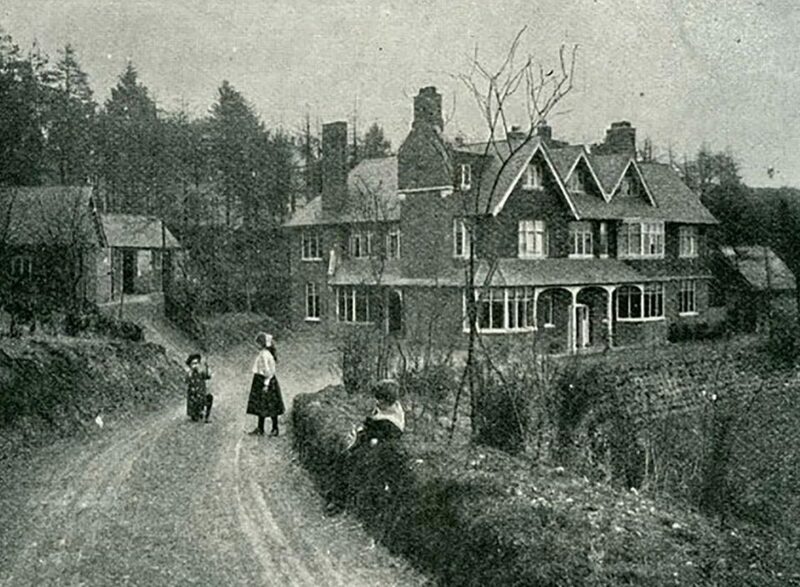 Undershaw is the former home of Sir Arthur Conan Doyle, the creator of one of the World's best known fictional characters Sherlock Holmes. He bought the land and helped to design a house to meet the needs of his sick wife. 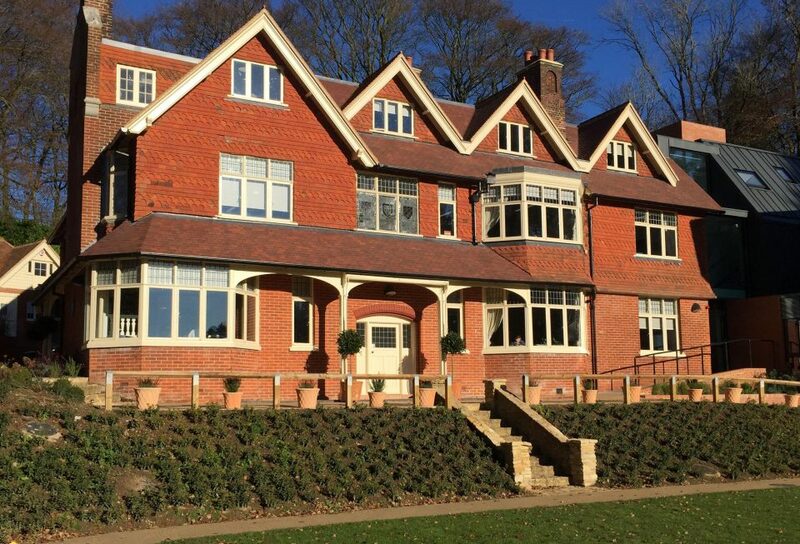 It is now an independent special school with charitable status. 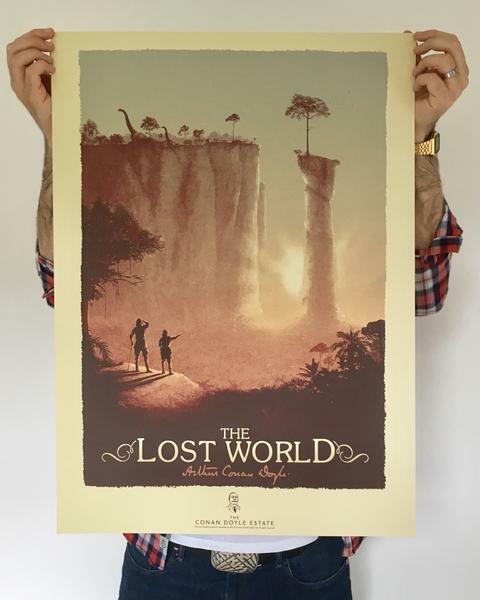 Vice Press and Matt Ferguson are honoured to have worked with the Conan Doyle Estate to release a very limited edition screen print for Sir Arthur Conan Doyle's classic novel The Lost World! 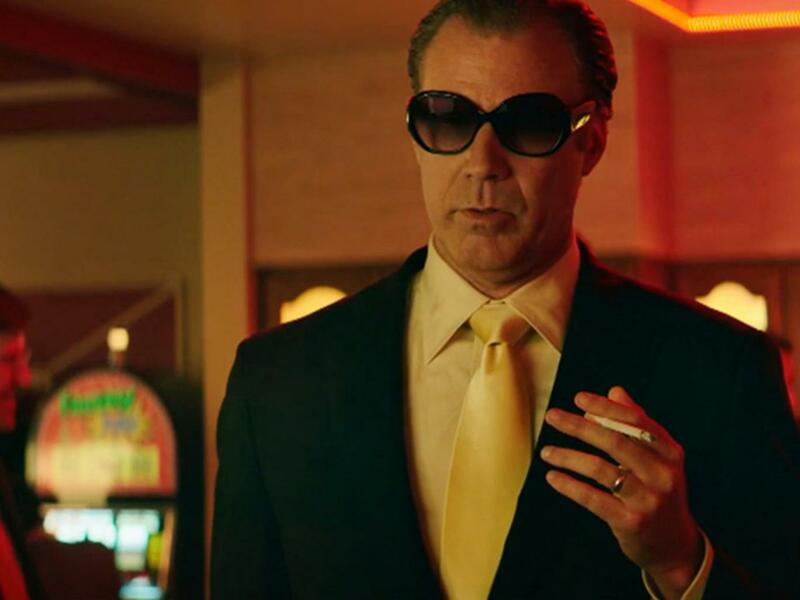 The actor stars with former 'SNL' mate Amy Poehler in 'The House' as a husband and wife who open an underground casino in their neighbour's home to pay for their daughter's college fees. 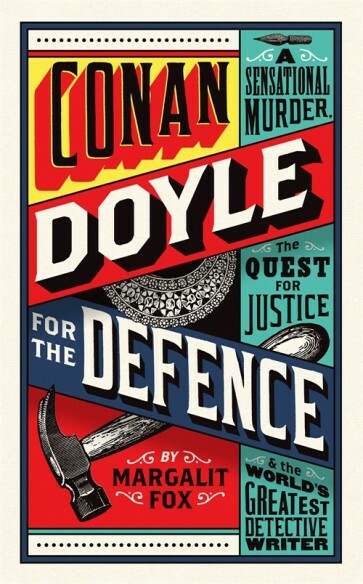 The Conan Doyle Estate finds great pleasure in seeing the effort & endeavour inspired by the works of Conan Doyle. 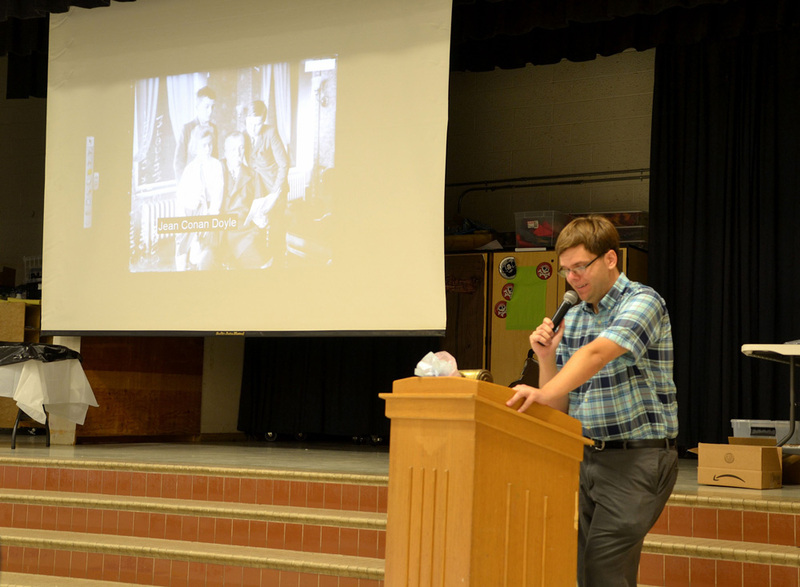 Here is part of a correspondence between Bryan Andress, a special education teacher working at Downes Elementary in Newark, DE and Richard Pooley, Director of the Conan Doyle Estate and Arthur Conan Doyle's step great-grandson. 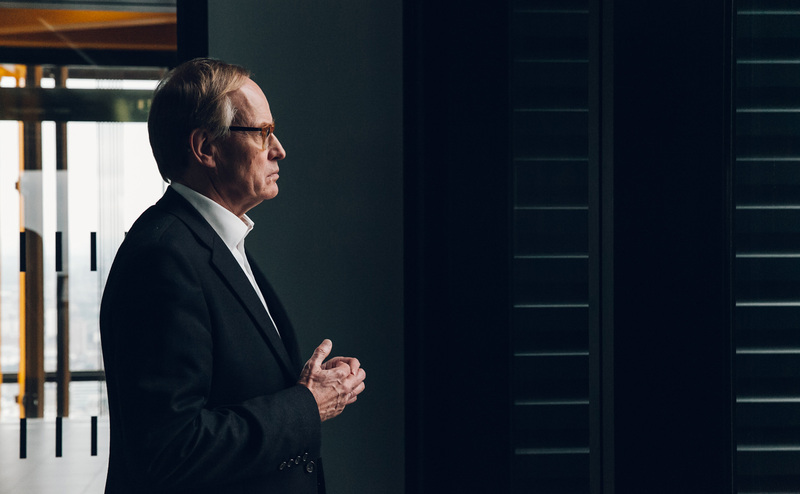 The weekend Wall Street Journal's splendid Review section carries as part of its book reviews a "Five Best" series, in which a writer, on a literary theme of his or her choice, picks and discusses five books he or she feels significant. 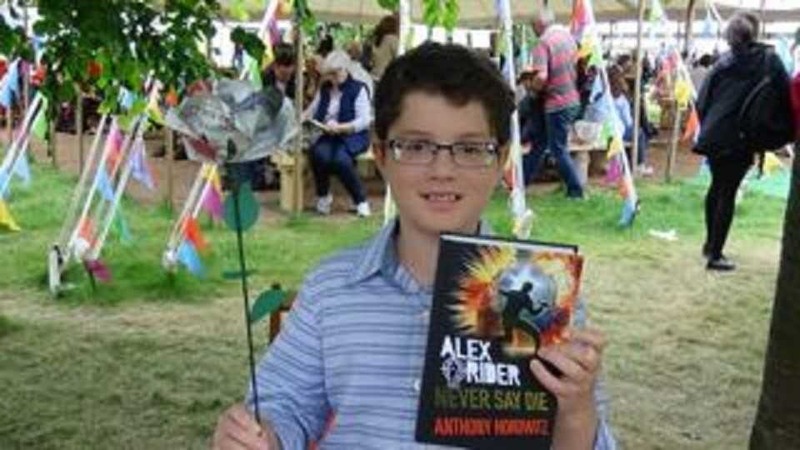 This weekend it was Anthony Horowitz, the literary theme he chose was Revenge, and one of the five books he discusses is A Study in Scarlet. Mr Curley, an American, has taken this exhibition around the world - Sydney is the seventh stop. 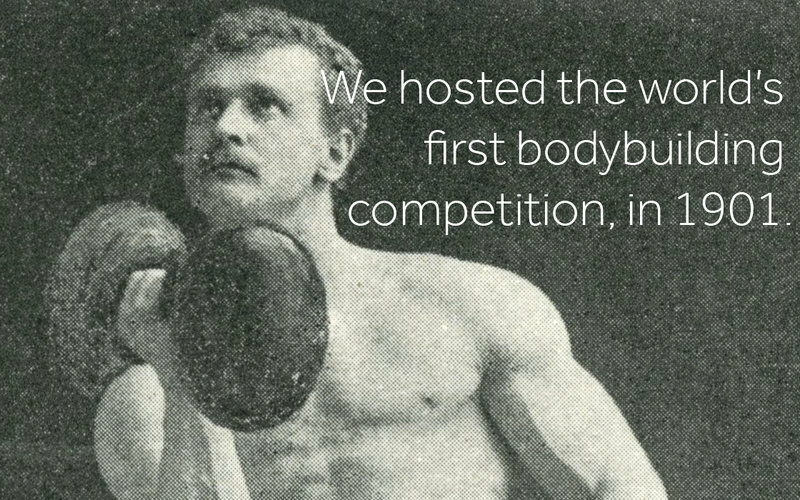 He said he had unprecedented co-operation from the Conan Doyle Estate. Richard Pooley, is one of the Conan Doyle Estate's directors, Arthur Conan Doyle's Step Great Grandson and a journalist in his own right. He gives some thought to the term "cultural appropriation" and its censorious proponents. 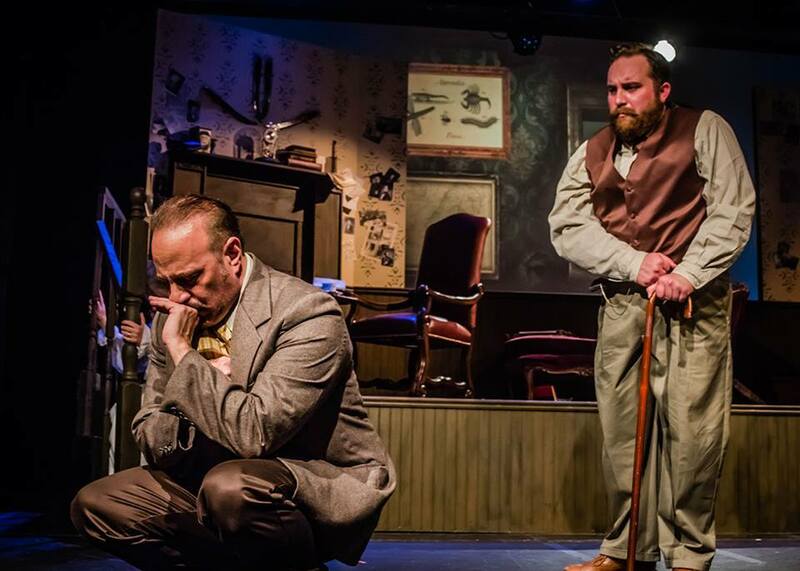 My Dear Watson, a Sherlock Holmes musical written by Orlando area composer Jami-Leigh Bartschi, has been named an official selection of the 2017 New York Musical Festival and will make its New York City debut in July. 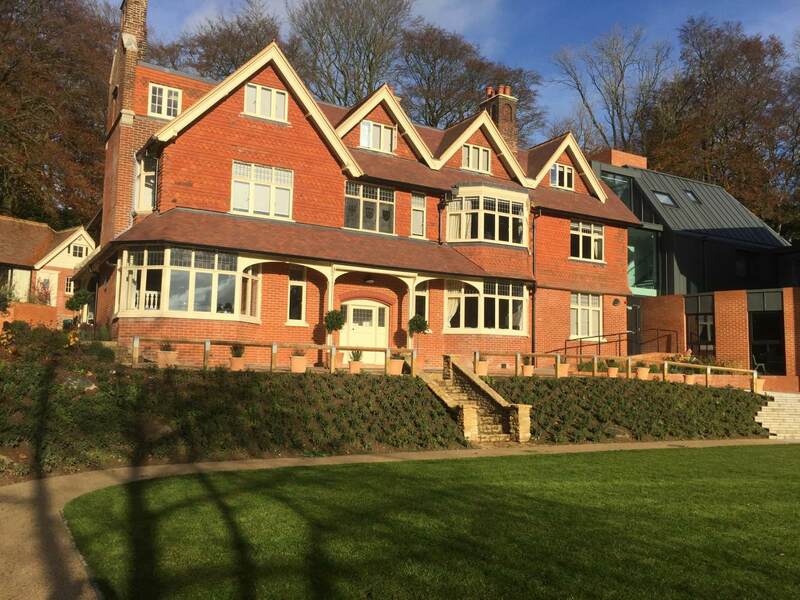 THE FORMER home of Sherlock Holmes creator Sir Arthur Conan Doyle has been given a new lease of life as a school for the disabled. A snowdrop picked 99 years ago by Arthur Conan Doyle is expected to sell for £500. 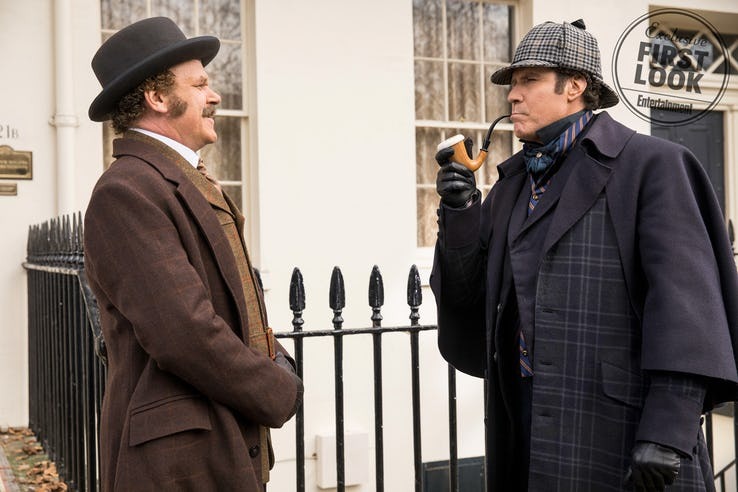 We learned back in August that Will Ferrell and John C. Reilly had finally found the movie to bring their comedy partnership back to the big screen in Sherlock Holmes-based comedy knockabout Holmes And Watson. 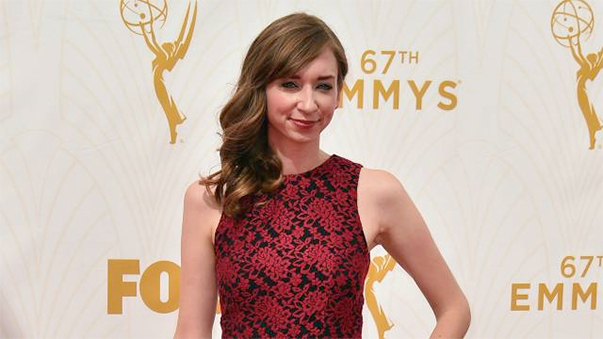 The film has just added the first new cast member, with Jurassic World's Lauren Lapkus aboard. 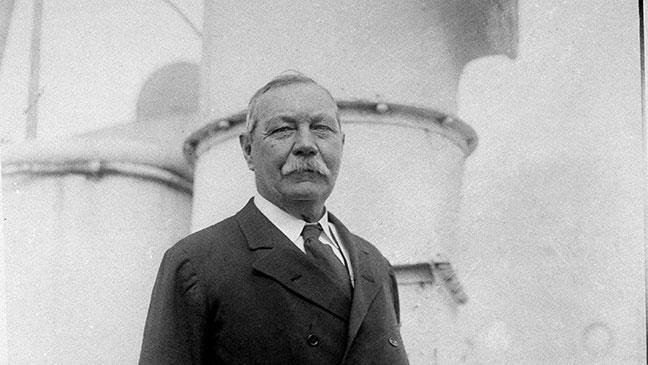 Sir Arthur Conan Doyle is best known as the creator of the great detective Sherlock Holmes, although he received his knighthood not for his contribution to English literature, but for defending Britain’s conduct of the Boer War (1899-1902). 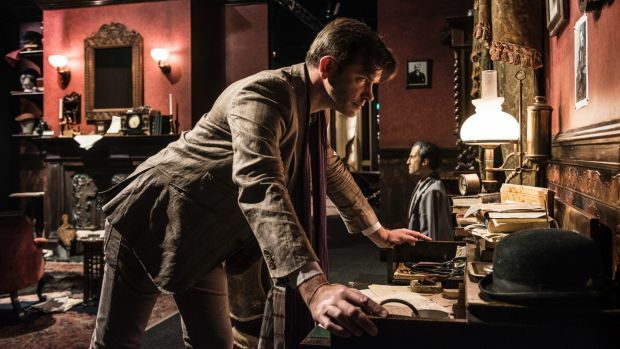 Pacific Science Center is bringing the world of Sherlock Holmes to life with its new exhibit, The International Exhibition of Sherlock Holmes, which is in Seattle through Jan. 8.